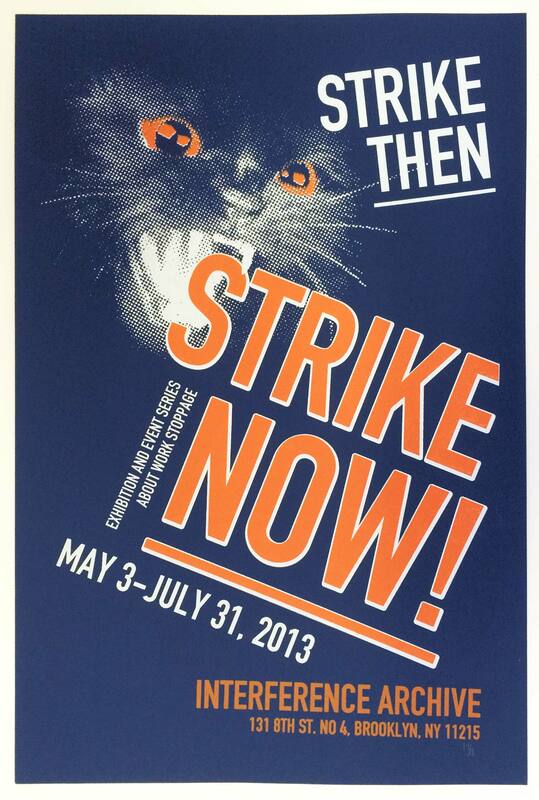 Exhibition poster for Interference Archive’s 2013 Strike Then, Strike Now! show. Designed by Blithe Riley & Josh MacPhee. Printed by Kevin Caplicki at Bushwick Print Lab.